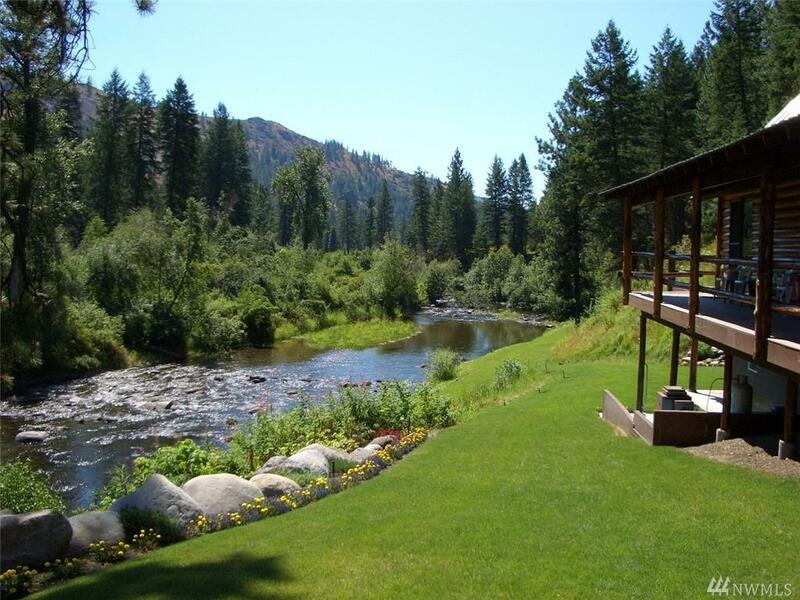 Beautifully placed 3 bedroom home set along side the San Poil River. 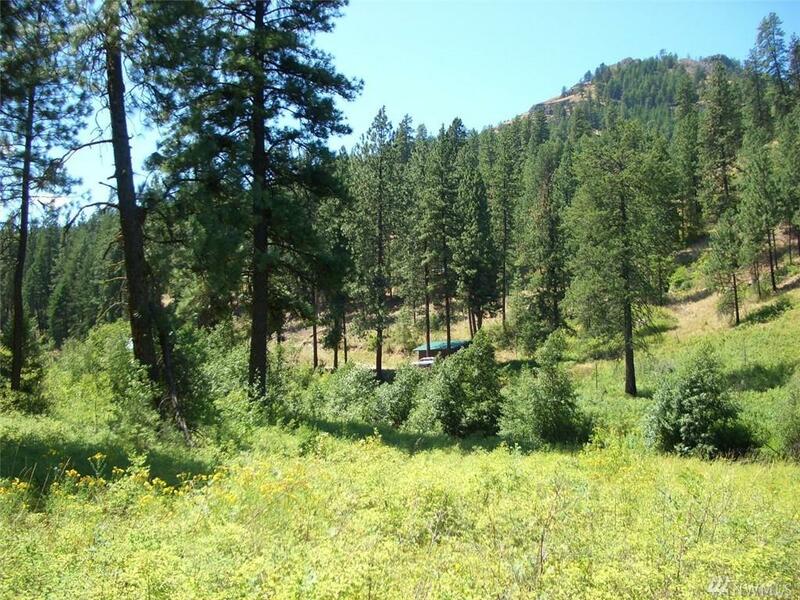 22 Acres with river frontage and mature Pine trees make a peaceful setting. 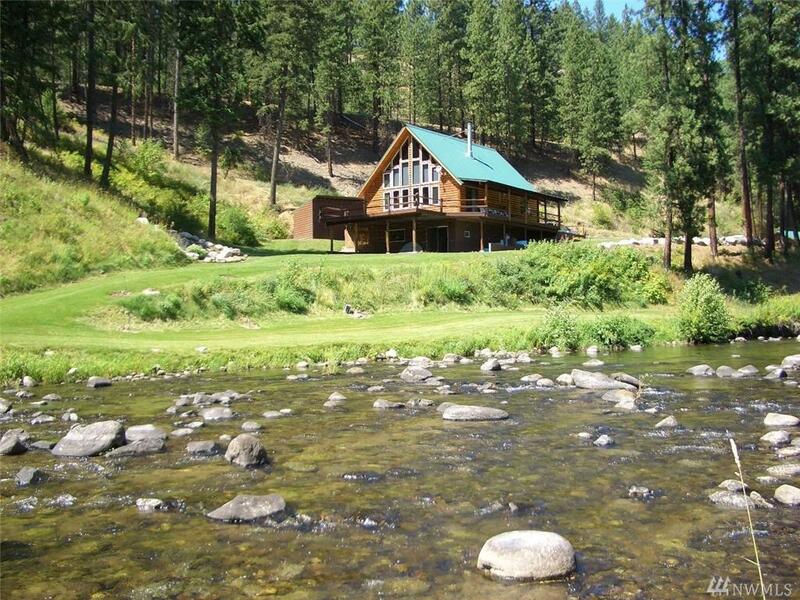 This riverside home is perfect for year around living or vacation get-a-way. 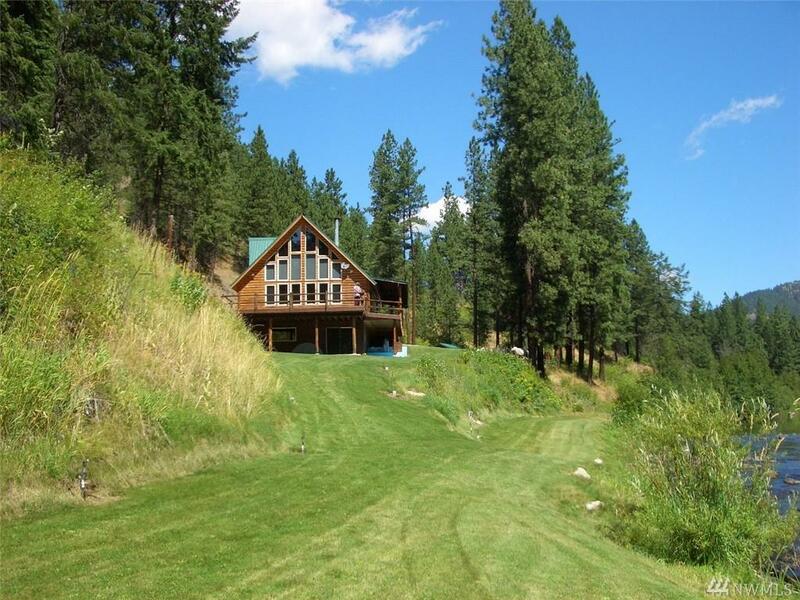 Open floor plan with vaulted ceilings and rustic details throughout. Covered porch and sun deck look out over the landscaped yard. Great access.